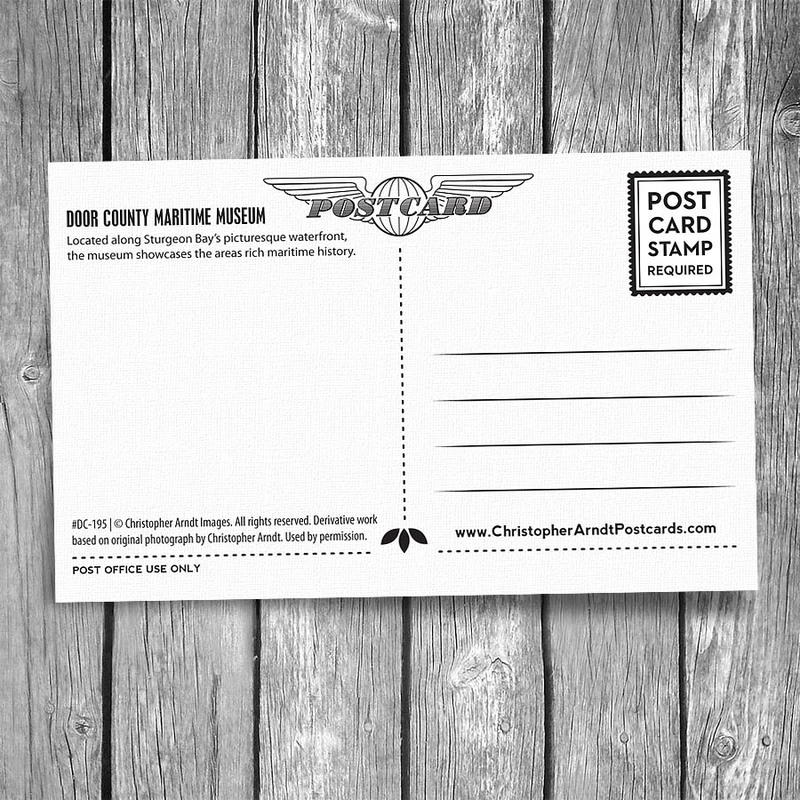 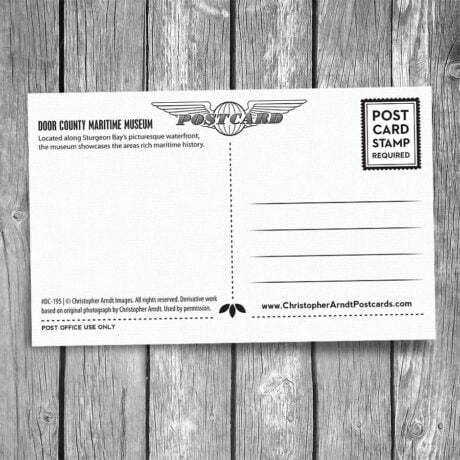 Door County Maritime Museum Postcard | Christopher Arndt Postcard Co. 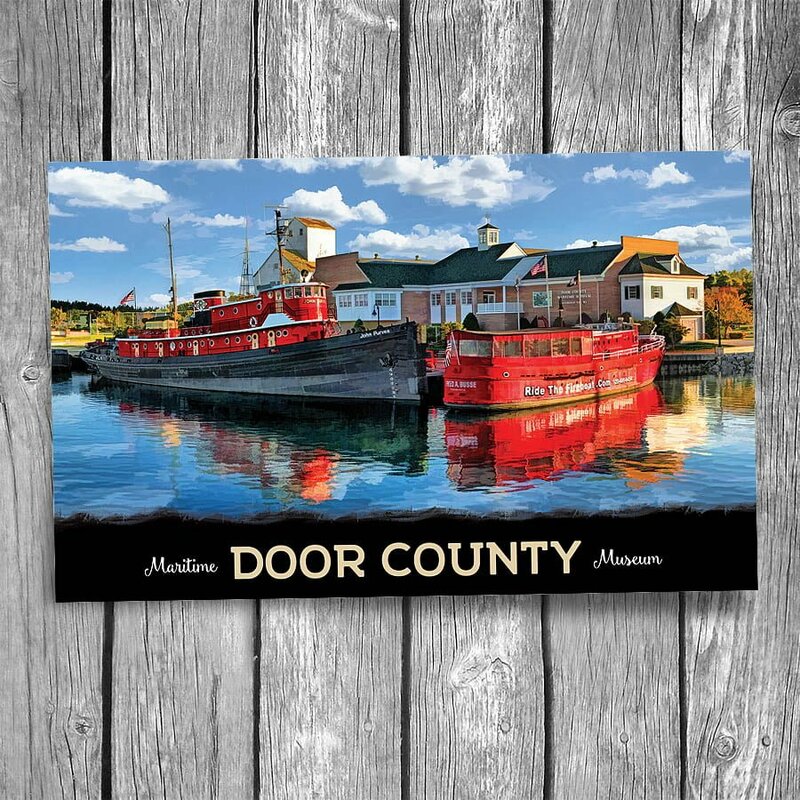 Located along Sturgeon Bay’s picturesque waterfront, the Door County Maritime Museum showcases the areas rich maritime history. 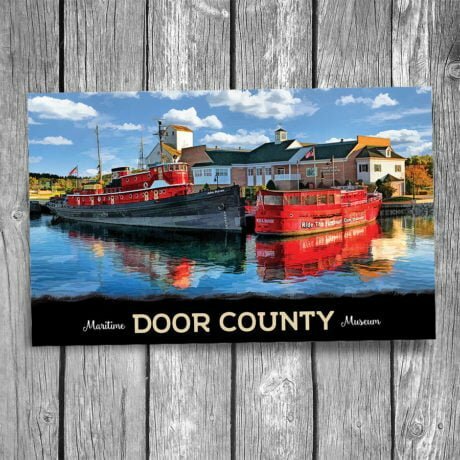 Visitors learn about hard-working fishermen, brave ship captains, skilled craftsmen, bold inventors and lonely lighthouse keepers.